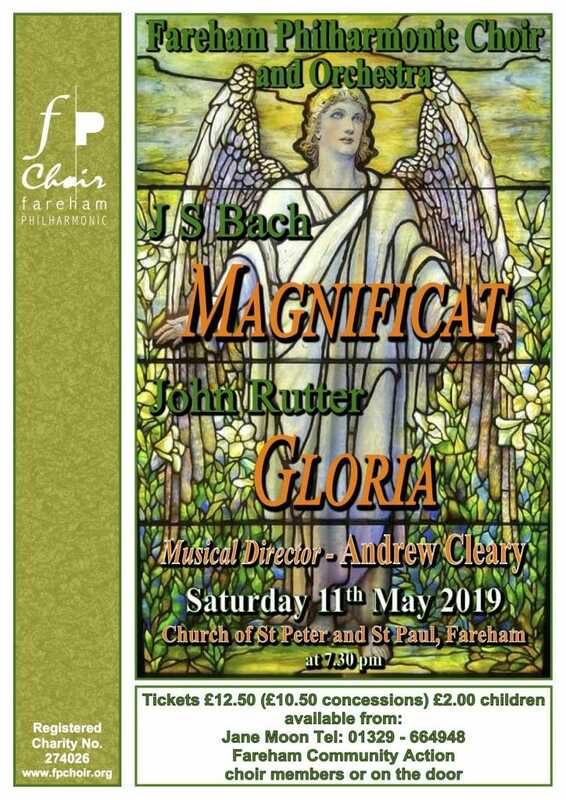 For further details see the Fareham Philharmonic Choir website. Our concert opens with a performance of Bach’s Magnificat, one of his most popular works. We then move on to contrast this with a much more modern, and rather less well-known work by John Rutter, his “exalted, devotional and jubilant” Gloria. Finally, we will be singing Handel’s Zadok the Priest, written for the coronation of George II, and sung immediately prior to the anointing of the new monarch at every coronation since.